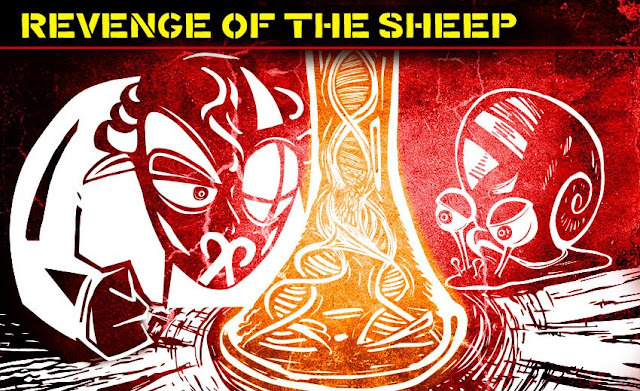 "Professor BlackSheep is back again to destroy mankind as we know it by turning us all into sheep! And this time he is not alone - he’s got an evil side-kick and together they have built a dangerous device: the SheepMutator." Mr Q believes that the new technology used by the Professor poses a serious threat: by mutating the human genome, the SheepMutator can turn anyone who is in the range on its evil rays into a placid sheep! To make matters worse, the Professor has managed to set up several such devices in key locations around the planet - one of them having been set up right here, in London." The family friendly theme didn't detract from the fun and impressive mechanics of the room. There was some awesome tech and overall everything was professional and well executed. The ending was unexpected and frantic in a good way. Even though it was a little out of the way from downtown London, we made a trip just for this and felt it was well worth it! Cons: On the smaller side in terms of room size, not many extra rooms. We loved this room and gave it a 5-star rating but keep in mind that it isn't physically big and it's actually rather small in terms of space. It's really how professional everything was and how the clues linked together at the end that made it great.